A fundamental of the commercial vehicle business is that the vehicles require varnishes in the fleet colours of clients in logistics and industry. KSK has developed a solid knowledge base and a specialised quality management system for handling customer-specific colour systems which can be applied to a single truck. 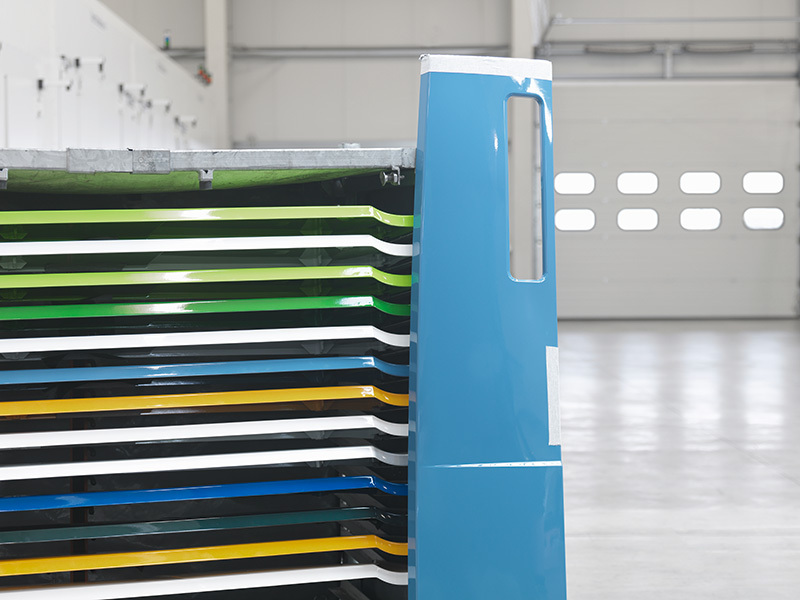 Up to 3,000 different shades are available for production at all times in the KSK system. However, KSK’s commercial vehicle specialisation goes far beyond the maximum number of available colours. 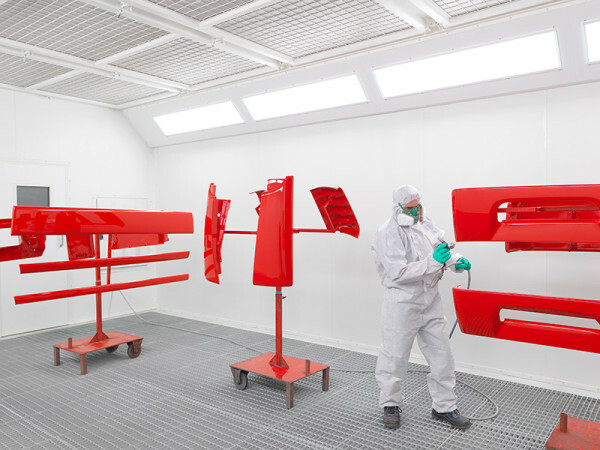 The KSK paint systems are also designed to coat particularly large components. They offer, for example, the option of varnishing an entire vehicle order as a whole. The result: the greatest possible colour homogeneity for all components. In the truck field, materials are used which are manufactured using resin transfer moulding (RTM) or the sheet moulding compound process (SMC). The unfinished parts manufactured in this process have a special surface structure. The coating methods developed by KSK for these substrates perfectly coat those unfinished parts. 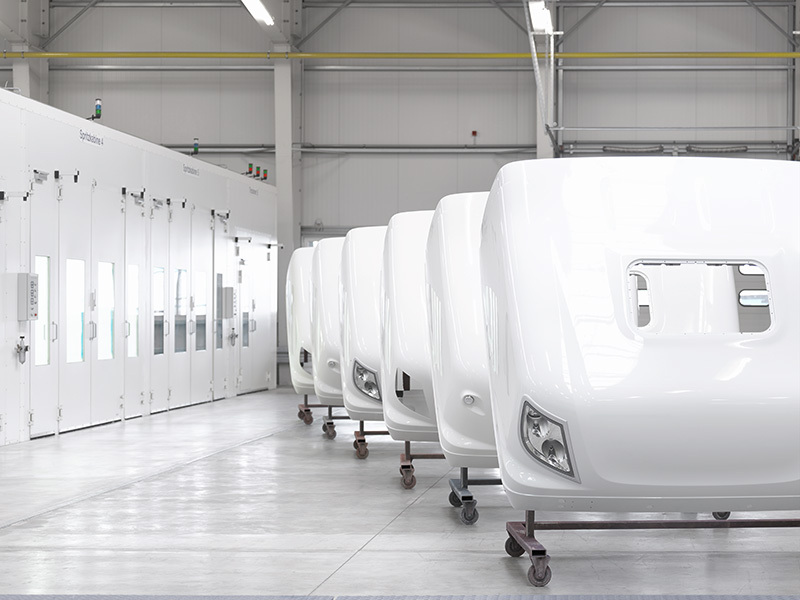 Coats of paint are achieved which fully maintain the various characteristics of the different plastics, e.g. flexibility.